The entity in question appeared before the woman from New South Wales. A week ago, the woman had been driving home with her car, when the road took her through a wooded area. 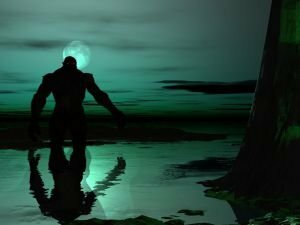 Newest articles along with materials on Monsters. Find out about mysteries, stories and convenient advice in regards to Monsters. See the newest articles and publications in regards to Monsters. Dragons are truly impressive in their appearance and immediately attract attention but if they're angered, you won't find yourself happy at all that you've attracted their gaze. The Truth About the Loch Ness Monster Finally Revealed? Thanks to this unusual marketing gimmick, the area earns about 30 million pounds annually. According to Gareth Williams, the monster was the product of popular novelist Digby George Gerahty. Loch Ness - a Retreat for Extraterrestrials? Alan and his wife couldn't even believe their eyes, when along with the beautiful nature scenes they found that they had snapped photos of 2 unexplained white shapes, flying over Loch Ness. According to local stories, it is in this unfrozen water that a dangerous monster swims, one that looks like a dinosaur and is over 33 ft (10 m) long. Locals even like to call it the Russian Nessie . Tales of sea monsters have existed for thousands of years. The 1752 book The Natural History of Norway describes a monster called a Kraken being the size of a small island, flat and with numerous tentacles. The strange story of the Solway Firth Spaceman dates back to 1964 in Cumbria, England. One sunny afternoon, Jim Templeton and his family were taking a walk when they decided to snap a few photos. The Gorgons were creatures born of the love between the sea deities Keto and Phorcys. Homer only mentions one Gorgon, while Hesiod wrote of 3 sisters, whose names were Stheno, Euryale and Medusa. The mysterious Loch Ness monster briefly appeared a few days ago, but this time 150 miles from the spot that's considered its home.